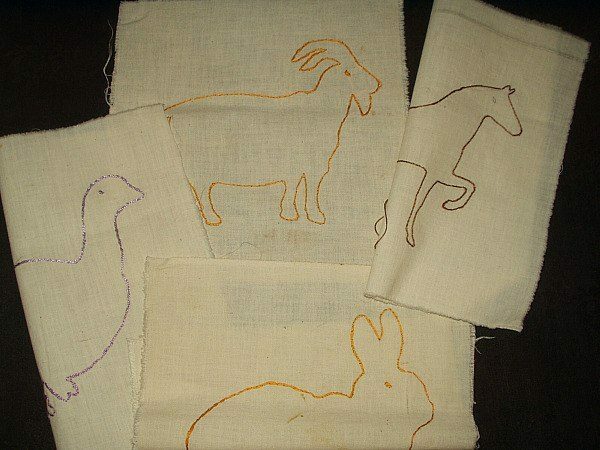 Four of the cutest rather naive embroidery on muslin quilt blocks of barnyard animals. These adorable blocks date from the 1930’s or 1940’s. Ready to be assembled into a quilt or other sewing project. Or perhaps to frame for a child’s room. Each animal is embroidered in outline stitch on muslin fabric.